The northern lights over Iceland in February. The glowing orange area on the left side are the lights of the capital, Reykjavik. The city of about 120,000 people, which is located just below the Arctic Circle, prides itself on its frequent shows of the aurora borealis. The blackout attempt appeared justified — photos and videos posted to social media by people in Reykjavik showed dancing lights against a mostly dark sky. 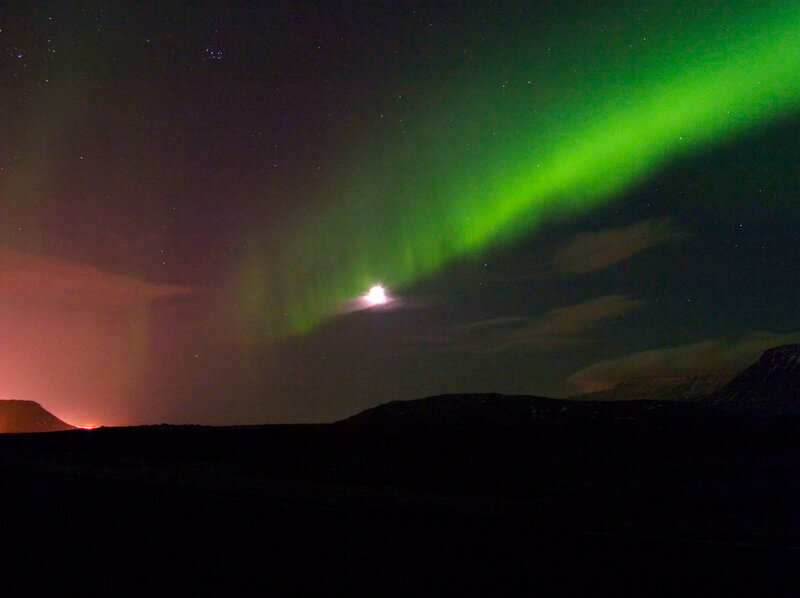 Although it is a small city, light pollution from Reykjavik is visible in past photos of the northern lights, appearing as an orange or pink glow at the horizon. The Icelandic news outlet The Reykjavik Grapevine reported that the lights stayed off until midnight to accommodate a late start by the solar system and that some people were initially annoyed when the green glow didn't appear on schedule. The northern lights are routinely visible in the circumpolar region, sometimes even well below the Arctic Circle. The same solar activity that led to the intense lights over Iceland are creating good conditions for the aurora borealis over much of Alaska, where the forecast likelihood of northern lights Thursday night is high.